New Delhi, (IANS) The message of peace and moderation sets former Pakistan-based politician, activist and motivational speaker Shaykh-ul-Islam Muhammad Tahir-ul-Qadri apart from other Islamic scholars. 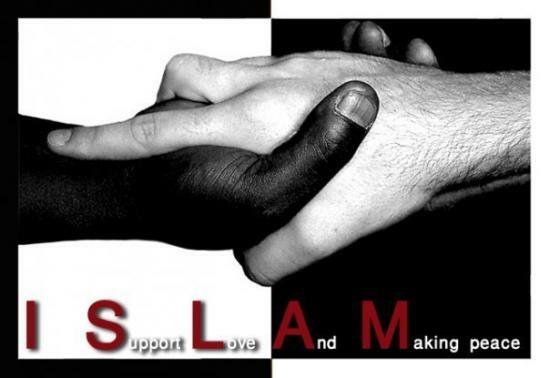 He says Islam stands for love and not the killing of mankind. “I have tried to bring up the true teachings of the Quran so that I may stop the means of distortion of the teachings…the extremists are using religion as a tool to achieve ulterior motives. All people belonging to all religions – their lives and places of worship – should be protected,” the author of the popular book “Fatwa on Terrorism”, told IANS in an interview. “I have cited hundreds of references to show that not a single school of Islamic law in the history of faith has allowed the killing of mankind in the way it is carried out now,” Qadri said. He condemns “terrorism” and campaigns against “armed jihad” on the ground that the Quran prohibits the killing of human beings – to the embarrassment of Islamic terrorists. “I won’t comment on Salman Rushdie (the recent episode where he was not allowed to come to an Indian literary festival), but I believe in balance and moderation in anything,” Tahir-ul-Qadri, who has written nearly 600 books, told IANS here. “I should not express my views in a way that may hurt other communities. We should respect religions. Freedom of expression should be responsible. If the whole of mankind is hurt, upset and frustrated with hatred, then who will build bridges and bring the people closer? I believe in tolerance, love and respect,” Qadri said. The scholar said no purpose was served by criticising the sacred texts and the gods. Founder of socio-political and education platform Minhaj-ul-Qur’an, he was in the country to launch the Indian edition of his book, “Fatwa on Terrorism”. He addressed gatherings in Mumbai and Gujarat. His organisation which was set up in Lahore in 1981 now works in more than 90 countries. Qadri has been an “opposition leader” in Pakistan between 1989 to 1993, pointing out the government’s mistakes and suggesting ways to improve the situation in the political, educational and economical fields. A translation of a Quranic verse says the “killing of a single man amounts to killing of a whole mankind”. Qadri said he has brought the Islamic wisdom and the message of compassion from 1,400 years of texts that he has studied personally in his book to issue his “fatwa on terrorism”. Qadri said “not a single scholar or extremist organisation” has refuted his claim of “Islam being a faith of peace, freedom and humanity”. Terrorism is grounded in politics, the scholar said. “International political issues are not being properly addressed or sorted out. There are some local socio-political problems in different countries which become the cause of irritation and frustration,” Qadri said.